Julia Roberts' Kids: How Many Kids Does Julia Roberts Have? Julia Roberts’ Kids: How Many Kids Does Julia Roberts Have? Julia Roberts shared a tip or two with her longtime friend, George Clooney on handling twins. The handsome expecting daddy and his wife, Amal Clooney, are expecting twins in June. According to sources, Amal Clooney is healthy, excited, and looking forward to becoming a mother. The handsome couple is tentatively planning to welcome the arrival of the twins in London. Reportedly, the Pretty Woman star shared some advice on parenting twins while on The Ellen DeGeneres Show. “…it’s trial and error and a whole lot of tears…but it’s amazing!” said the actress. Her words to the expecting parents sparked many questions among fans. Does Julia Roberts have kids? How many kids does Julia Roberts have? How old are Julia Roberts’ kids? If you asked yourself any of these questions, we have the answers right here with everything you need to know about Julia Roberts’ kids. Julia Roberts has three beautiful children, twins and a younger son. The twins, Hazel and Phinnaeus Moder, were born on November 28, 2004 which makes them 12 years old now. Roberts’ son, nine-year-old Henry Daniel Moder, was born on June 18, 2007. All three children of the actress’ children were born to the Julia Roberts and her second husband, Daniel Moder, whom she married in 2002. 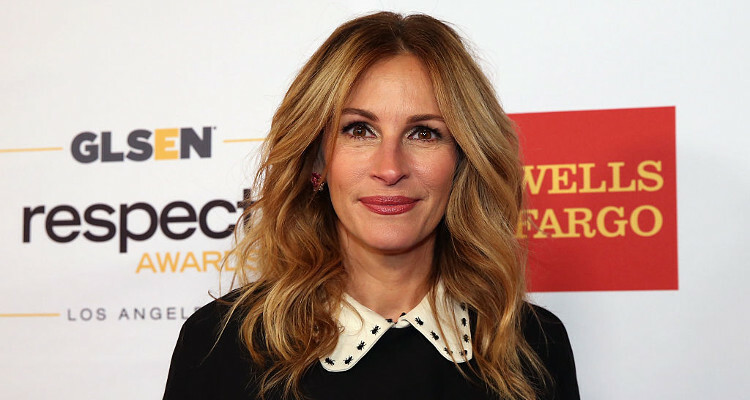 Julia Roberts has tried to give her children a normal upbringing. A life where they can play in the backyard in the sun and not get mauled by the paparazzi! The 49-year-old actress has kept her three children well-shielded from the limelight. And she succeeded! All the three of Roberts’ kids are mostly kept away from cameras despite their mother being a household and People’s reining World’s Most Beautiful Woman. Unlike their mother, Julia Roberts’ children have no interest in starring or making movies —well, at least not yet. According to the star’s interview with E!, her kids aren’t showing any interest in their parents’ profession. “They just want to get through fifth grade math,” the actress joked. However, this might have changed after Julia Roberts was named People’s World’s Most Beautiful Woman for the fifth time. “‘Mom, we saw this magazine, and this is what it said,’” Roberts said, mimicking her kids’ reaction to learning about her new title at their school’s library. There is also no social media for Roberts’ kids! In this digital and social media era, the actress is playing it down. She avoids taking superfluous snaps and mentioning her kids while sharing details of her life online. With unwavering support from her hubby, Julia Roberts has found the fine balance between her personal and public life. She shares only as much of her private life with her fans as she wants to, because the privacy of her family is what matters most to her. “We try to protect our kids. We just want to have our family life and not have that intruded upon,” says Roberts.